Russia’s Federal Security Service arrested Paul Whelan, who holds American, British, Canadian and Irish passports, from a Moscow hotel room on December 28. Russian Foreign Minister Sergei Lavrov appeared to support that version of events, telling reporters Whelan had been “caught red-handed” carrying out “specific illegal actions” in his hotel room. “On a USB drive, Paul received information that … I confirm is a state secret,” Zherebenkov told journalists. “In reality, Paul was supposed to receive from the person information that is not a state secret,” he said, indicating he was expecting to be given cultural material and photographs. 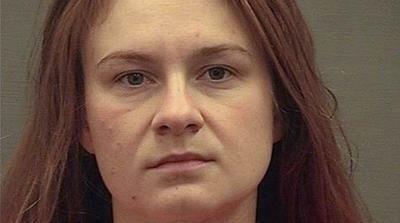 There are reports that Whelan may have been arrested in retaliation for the arrest of Russian woman Maria Butina, a gun rights campaigner who was convicted in December of being a “foreign agent” and likely faces six months in jail, by the US. Moscow has rejected the idea Whelan could be exchanged for any US prisoner, saying it does not treat people as “pawns” in diplomatic games.